The Chamber of Mines of the Philippines time and again declared that the country’s mining industry is actually ‘parked’ because of the absence of substantial investments in the industry tracing back to the previous administration. The present administration also belittled the contribution of mining to the country’s economy wherein its contribution to the gross domestic product (GDP) was said to be only 0.6 percent and that mining companies only pay a meagre P70 billion in taxes to the government coffers annually. 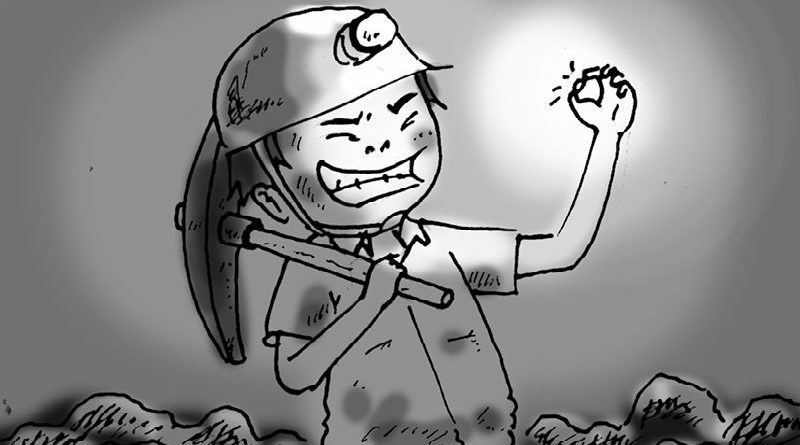 President Rodrigo R. Duterte waged a war against erring mining companies operating in the different parts of the country by ordering the closure of a number of mines that did not pass the mine audit while most of the companies that have embraced responsible mining were able to continue their operations when the mine audit teams found that their operations were in place. The Philippine Mine Safety and Environment Association (PMSEA), a volunteer organization of mining industry stakeholders, suppliers and contractors, is also strongly advocating for the practice of responsible mining by those involved in this environmentally-critical industry. Through the years, PMSEA was able to impart to the mining industry stakeholders the value of giving importance to the preservation and protection of the environment where they extract their wealth and where people live, especially indigenous peoples who own the ancestral domains where a significant percentage of minerals in the country are extracted. While the Philippines is highly mineralized that is supposed to drive its economy, mining stakeholders admit that the country is now lagging behind other Association of Southeast Asia Nations (ASEAN) countries in the export of minerals. PMSEA officials insinuated that a number of importers of minerals produced from the country’s mining companies have become aware of the alleged serious violations committed by a few mining companies of environmental laws, rules and regulations. It must be known that there are initiatives among mineral users to voluntarily commit themselves to use only ethically-produced minerals along the various processes before it gets to them. With the dismal and irresponsible extraction and processing of minerals by some mining companies in the country, surely such will not pass even voluntary industry standards for responsible mining. Recipient countries have imposed conditions on such irresponsible miners and such issues must first be addressed before minerals coming from the country are totally accepted in the global market. PMSEA members explained the malpractices of a few mining companies that have inflicted serious damages to the state of the environment in their areas of operation should not be used to project the bad state of the country’s mineral industry. There are more responsible miners than irresponsible miners but a few bad eggs spoils a whole basket. Even if responsible miners try to assuage the public of their good practices, it is the buyers of their product that determines the demand side of the market. Also, it is the concrete negative experience of communities that have to be given justice for the mining industry to raise the bar of responsibility and claim, as an industry, to be responsible. It bodes well for them to police their own ranks to be accepted by their market as responsible miners indeed. It is not the public that have to be convinced. It is their market. There are some host and neighboring communities that benefited from the largesse of mining but this is not the common experience. We cannot take this as an industry-wide reality. For indigenous communities, existing laws allow the extraction, utilization and development of the resources in their ancestral domain subject to their free prior and informed consent. Historical injustice has not yet been served for some indigenous communities and other local communities. Their experiences are serving as valuable lessons to other communities in the country, and globally, that mining can bring unsustainable development in the long term. These realities cannot be glossed over with good practices if they cannot be addressed with sustainable solutions, especially if relations within the communities breakdown and political power is appropriated by those benefitting from the mining largesse. Intra-community conflicts due to the entry of mining, the perceived benefits from it and how it is shared, the non-recognition of indigenous governance institutions which is often marginalised in favour of a group set up by the company, the promotion of the disempowering dole-out system of benefits, and other issues, should be effectively addressed through a rights-based approach. We support transparency in the mining industry so that we will be all aware of what had been happening and what will continue to happen within and outside the industry for us to better appreciate the realities in life. We support the putting in place of stringent rules and regulations that will govern transparency in the industry because it is in being transparent that we will be able to earn the respect of everyone. Much have been said about the serious negative effects of mining to the environment. Industry players are putting effort to explain to the public what has been done and what is being done as well as what needs to be done. We say to the miners, indigenous communities and local communities have a right to meaningfully participate in the development of their communities as equal partners, for at the start, that is their universe. In the end, that is their world. You will leave them with your profits. They will be left with your legacy. Will that be good? Or bad?